"Before the angels I will bless you. I will adore before your holy temple." The Lord gave us these words from the psalms on the night before our Lectio Divina group met for the first time: 2nd October 2013, the Memoria of the Guardian Angels. We chose, then, to place our Lectio group under the patronage and protection of the Guardian Angels. The goal of our Lectio is, accompanied by the angels, to adore and bless the Lord who speaks to us through the Scriptures. The Scriptures are an icon of the Holy Spirit, their words a veil hiding the living presence of the Lord. They are a point of encounter with the Holy Spirit; a privileged means of meeting with God. Lectio Divina is an ancient Christian method of reading the Scriptures in a prayerful way; a way which opens the reader to a living encounter with God. This is what we do together in the Lectio Group. Following in the tradition of the Church Fathers, the Desert Fathers, and the Benedictine and Carthusian traditions; we meet together to read, listen, and respond to the written word of God. We take the Gospel reading for the coming Sunday, and allow the Lord to prepare us to hear his Gospel proclaimed at the Sunday Mass. Many people find that choosing this Gospel reading, and praying with it before going to Mass, helps them appreciate and understand the Gospel more fully. Lectio is not a practice which has to take place in a group setting, it can also be practised alone. We would encourage you to build some time for Lectio into your regular prayer life, maybe by taking the Gospel of the day as your reading, or by selecting a book (maybe one of St. Paul's letters) and working through it over a period of time. 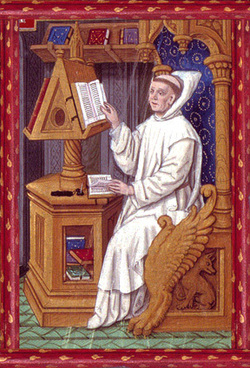 The first writer in the western tradition to explain the practice of Lectio Divina was Guigo II; prior of the Grande Chartreuse Carthusian monastery. Guigo, writing around 800 years ago, spoke of four movements in Lectio Divina. These four movements are reflected in the practice of Lectio Divina here at the Chaplaincy. "Reading is the careful study of the Scriptures, concentrating all one’s powers on it. Meditation is the busy application of the mind to seek with the help of one’s own reason for knowledge of hidden truth. Prayer is the heart’s devoted turning to God to drive away evil and obtain what is good. Contemplation is when the mind is in some sort lifted up to God and held above itself, so that it tastes the joys of everlasting sweetness…"
These movements are mirrored in the initial reading of the Gospel passage, the period of quiet meditation to ponder the reading, the time of prayerful response, and the opportunity to rest in God's presence and give thanks. It is a good idea to record the insights gained through the prayer of Lectio Divina. Please feel free to bring a notebook, and to jot down the thoughts and images that occur to you during the time of prayer. This can also be done in your private practice of Lectio, and form the basis of a spiritual journal. A well-worn and tatty Bible is one that has been read and cherished. It is so important for us to become familiar with the Scriptures. If you are able, please do bring a Bible with you to Lectio (although some are available for use at the chaplaincy). Get to know your Bible; flick through it, read it often. 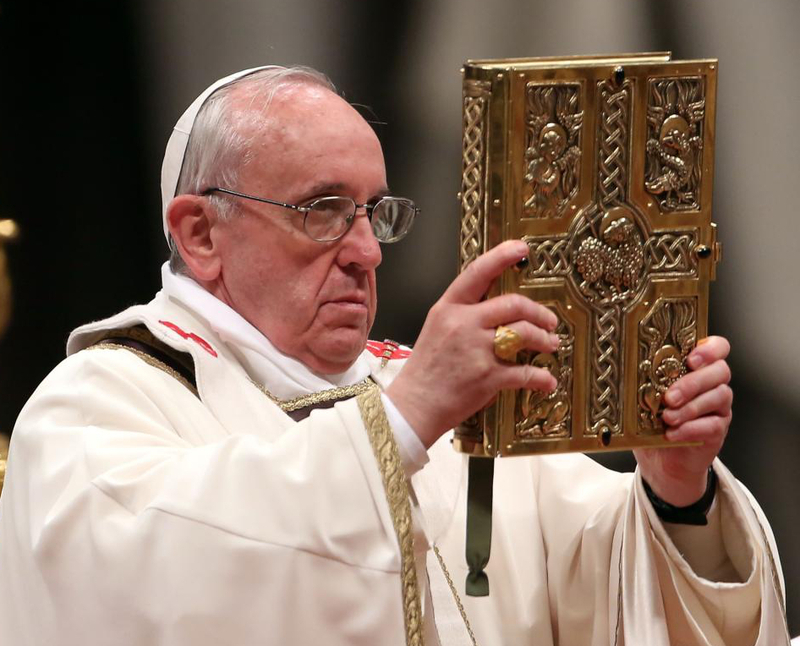 Your Bible will become a good friend, and a portable oratory where you can meet with God whenever you choose. 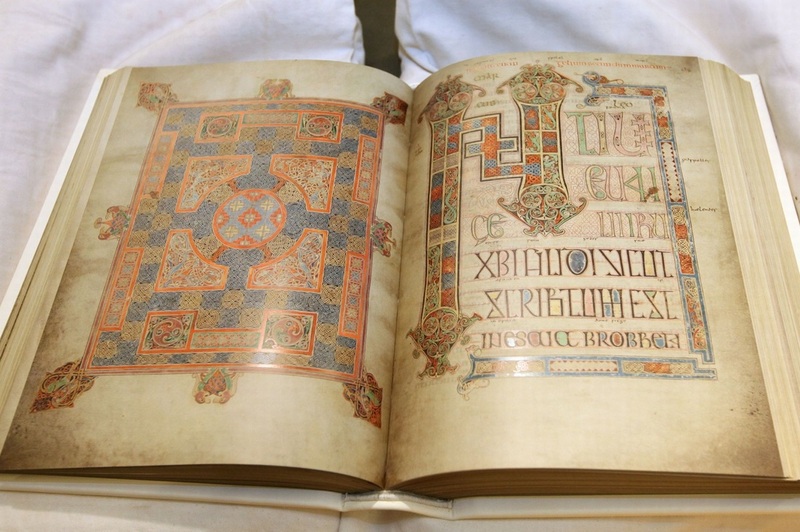 Lectio Divina in the chaplaincy lasts for half an hour every Monday evening in term time. We meet in the Chapel, seated in a semi-circle around a simple crucifix and a lit candle. We begin with an opening prayer; calling on the Holy Spirit, present within us and within the Scriptures, to speak to us. We make ourselves available to God, and to an encounter with him. The Gospel reading is then read aloud, slowly and reverently. We listen attentively with not only the ear of our mind, but also the ear of faith. We are then given the opportunity of a few moments in silence to ponder the word in our heart, as Mary did. After a few minutes, the Gospel is read again by another member of the group, and often in another translation of the Scriptures. This brings fresh ideas, and fresh emphases to explore. Our Lectio then moves into our prayerful response to the Lord, which we are invited to share with the group if we choose. If members of the group feel moved to do so, they speak aloud how God has spoken to them from the Gospel reading; intellectually, emotionally, spiritually. We then return to a few moments of silence, to rest in God's presence and to give thanks. The Lectio is drawn to a close with group intercessions and the recitation of the Lord's Prayer. We will often then share the sign of peace together; in recognition that the word of God creates and sustains community, and can only be profitably read in the spirit of the communal Body of Christ. "And he dreamed that there was a ladder set up on the earth, the top of it reaching to heaven; and the angels of God were ascending and descending on it." 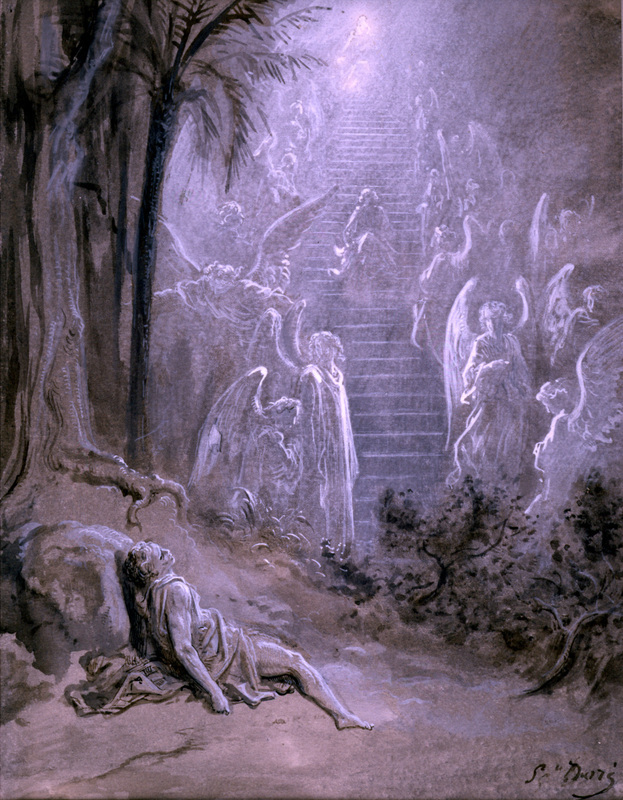 Guigo speaks of the four movements of Lectio Divina as rungs on a ladder leading to heaven, recalling the imagery of Jacob's Ladder from the Book of Genesis, "its lower end rests upon the earth, but its top pierces the clouds and touches heavenly secrets." In Lectio, we can imagine ourselves ascending this spiritual ladder with each stage in the process; moving from reading with our mind (which is, of course, important!) to prayer and finally into contemplation.